Lenovo is working on a stunning device with a number of unique features. The company claims that the Z5 smartphone comes with four technological “breakthroughs” that might help the company regain its lost market appeal. While we know the 4TB storage and the strictly no-bezel display will be among them, the smartphone is also likely to have a massive battery. 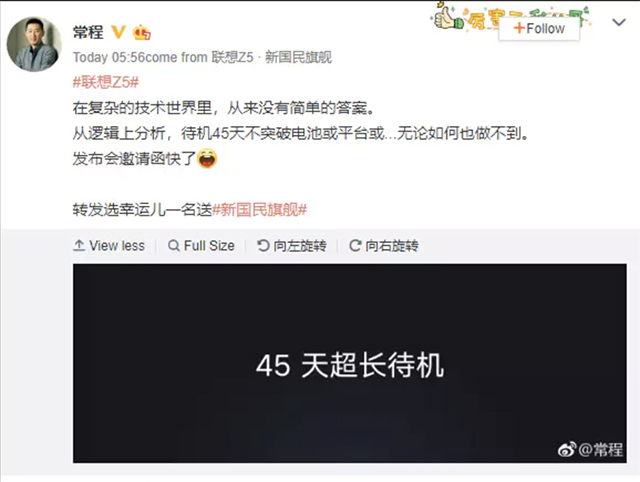 Chang Cheng, VP of Lenovo, revealed on Weibo that the Z5 would come with a 45-day battery standby time. This is an impressive figure and means that either the smartphone will have a jaw-droppingly huge battery or amazing tuning of the software. For context, Asus ZenFone Max with a 4,000mAh battery and HD+ display has a claimed battery standby time of 41 days. 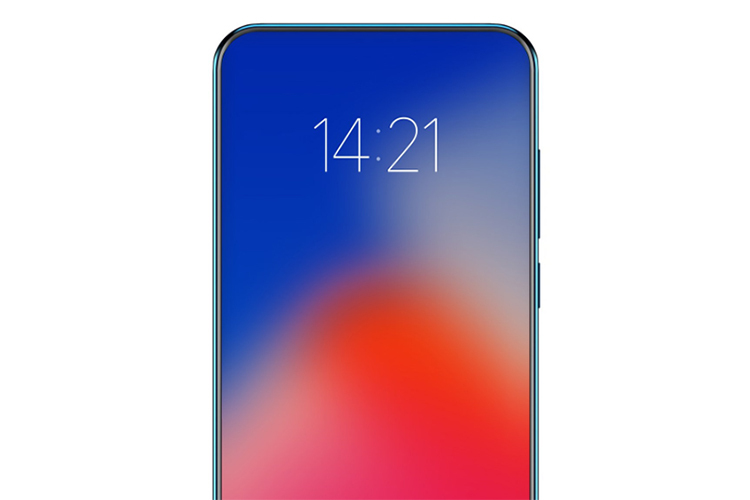 Naturally, the Lenovo Z5 will have a more battery-draining screen and hardware and the claim of 45 days (1080 hours) of standby is really fascinating. Adding a large battery is actually easier for a company than rigorously working on the optimization of the battery, so we expect the Lenovo Z5 to include an enormous battery. Cheng only teased the impressive standby time without commenting on the actual specs of the battery. This makes it little difficult to confirm or even speculate the battery’s capacity planned by the company. 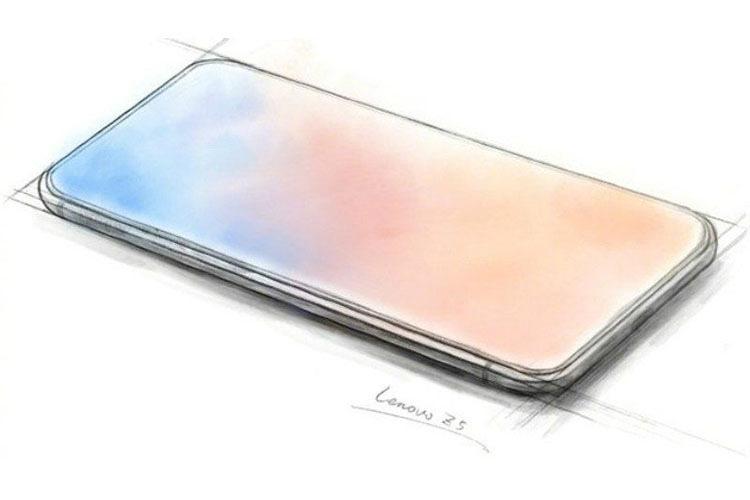 The executive has been beating OnePlus in the hype game and teasing stunning features of the Lenovo Z5 ahead of its launch on June 14. Cheng had easier told fans that the smartphone will feature a huge flash storage – 4TB. He also said that the smartphone will come with an immersive screen that occupies most of the smartphone’s front face and if the notch trend hasn’t gotten down too well with you, the smartphone will not feature one. That leaves room for hypotheses about the placement of crucial sensors as well as the selfie shooter. The executive also shared that the Lenovo Z5 will come with an AI-powered dual camera setup at the back and offered a glimpse into the camera abilities by sharing samples of shots captured during dusk. June 14 isn’t too far away and we’ll get to weigh these claims better following the launch of the device.